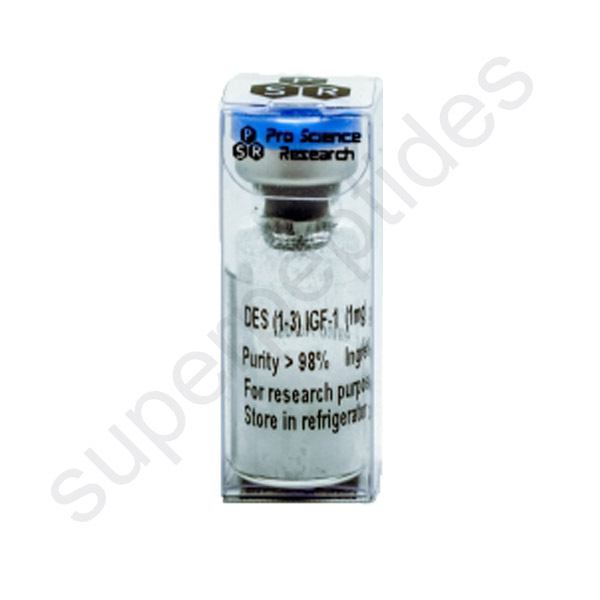 DES(1-3)IGF-1 is a single polypeptide chain containing 67 amino acids. 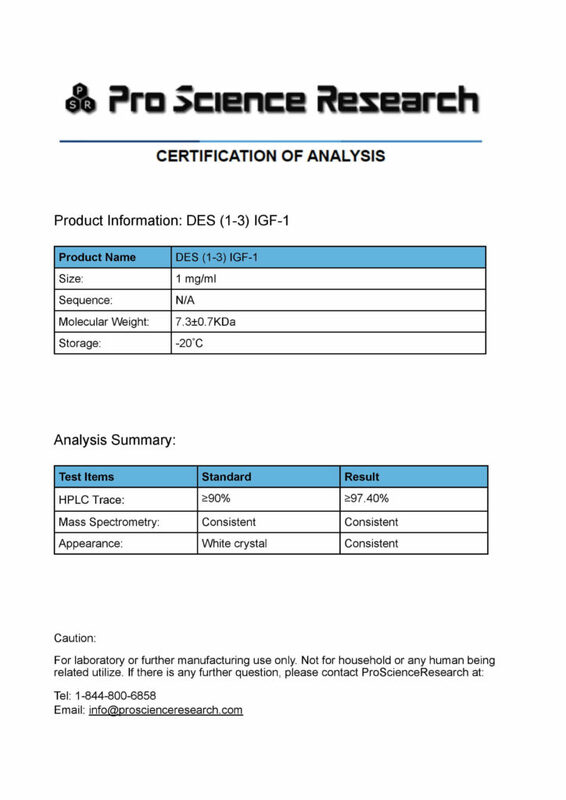 IGF-1 Des1-3 is purified by proprietary chromatographic techniques. 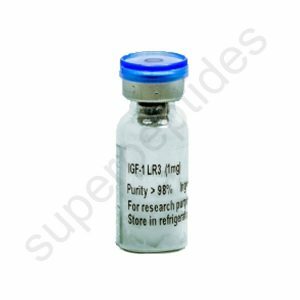 It is a truncated variant of human IGF-1 with an N-terminal deletion of the tripeptide Gly-Pro-Glu, which probably results from post-translational cleavage of IGF-1. 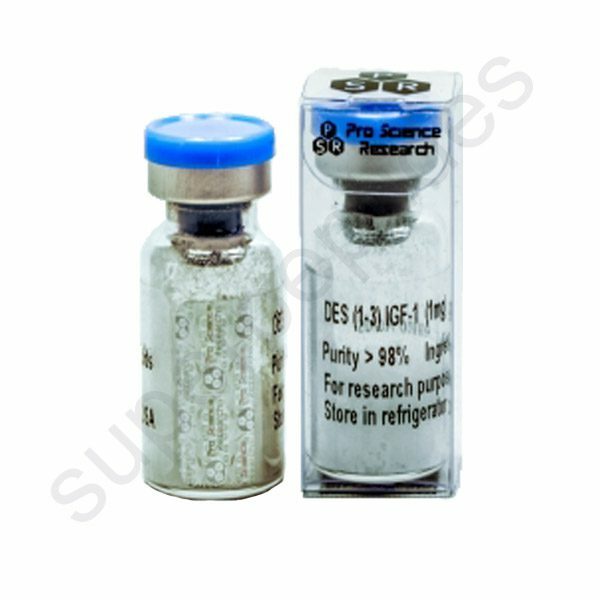 It is a naturally occurring, endogenous protein. It is a truncated analogue of insulin-like growth factor 1 (IGF-1). 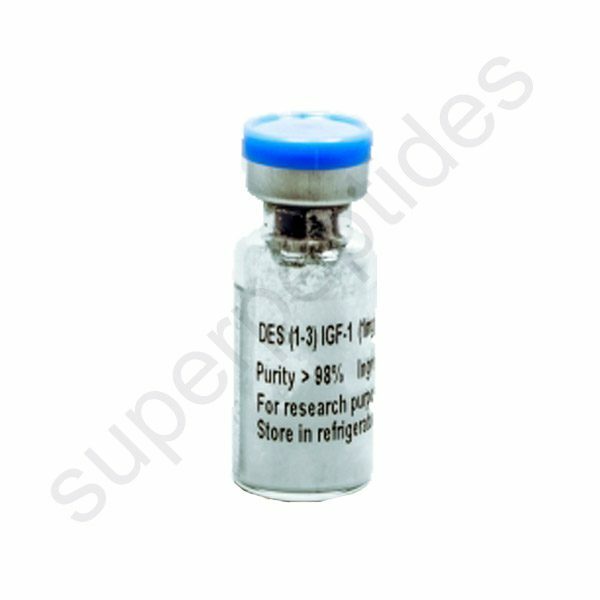 DES(1-3)IGF-1 lacks the first three amino acids at the N-terminus of IGF-1 (for a total of 67 amino acids, relative to the 70 of IGF-1). In consequence, it has greatly reduced binding to the insulin-like growth factor-binding proteins (IGFBPs) and enhanced potency (about 10-fold in vivo) relative to IGF-1.